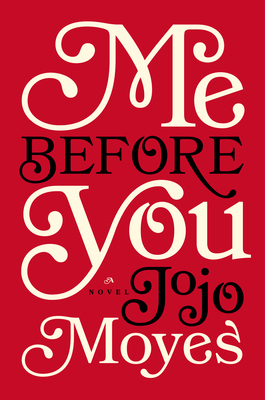 It's rare that you'll find me reading a love story, but I made an exception for ME BEFORE YOU by Jojo Moyes. First of all, it's a Pamela Dorman Book -- enough said. Second, this novel was a big-time word-of-mouth success in the UK so I figured it must be pretty good, right? And finally, I had read another book by Ms. Moyes called THE LAST LETTER FROM YOUR LOVER, and I really liked it (my review.) I figured, if nothing else, I could handle a love story right around the holidays. Overall, I have to say that I really enjoyed ME BEFORE YOU - maybe even loved it a little bit. And if I'm being entirely honest, that surprised me since it is pretty much a love story. However, ME BEFORE YOU is anything but a traditional, sappy, love story. Rather, it's a beautiful story about two unlikely people who fall in love with each other despite a very difficult situation. It's smart and witty, yet also extremely touching -- don't even ask me how many times I cried; and the ending was entirely unexpected, but perfect! ME BEFORE YOU tells the story of Louisa and Will. Louisa is a young girl who hasn't experienced much beyond the limits of her small village. She still lives with her parents, her sister, and her nephew in a small house, and Louisa is forced to live in a very small bedroom -- not much larger than a closet. Without many options, Louisa takes a job as Will's caretaker. A few years back, Will had a wonderful life. He had success in his career and his relationships, and he loved taking risks. Unfortunately, he was in a horrible accident that took away the use of his arms and his legs. Needless to say, Will was miserable and not sure that he wanted to life out the rest of his life in a wheelchair. So when Louisa enters the picture as Will's companion, Will is less than thrilled. He's bitter, sarcastic, and even mean to Louisa; however, she doesn't take his crap. She considers leaving, but then realizes that she has feelings towards Will that might not be exactly appropriate for a caretaker. When Louisa realizes that Will has his own ideas about his future, she decides that she can prove to Will that he still can have a fulfilling life... despite having to experience it as a paralyzed man. ME BEFORE YOU is a beautiful story about the true meaning of love. At the surface, Louisa and Will's story proved that opposites do attract. However, it also showed the sacrifices that people are willing to make for those they love. In many ways, this novel broke my heart, yet it also demonstrated the magic of love and how it can bring the best out in people. While I did love the story and the characters, there were some other really good things about ME BEFORE YOU. First and foremost, I appreciated Ms. Moyes' writing. This is the second book by her that has blown me away, and I've found that she's a wonderful storyteller. I also loved the pace of the novel -- from the introduction of the characters, to the building of their relationship, to the ending; and I didn't want the story to end. Furthermore, I liked how she explored life in a small village as well as the differences in the class structure of the characters. And I even thought the portrayal of family life was very honest. I normally wouldn't recommend a love story as a fantastic book club selection, but as I mentioned before, ME BEFORE YOU isn't a typical love story. Because this novel was so smart and did such a wonderful job of exploring all types of loving relationships, I think it would be a perfect book club pick. There is a reading guide available with twelve intriguing questions. Some of the topics you might want to explore include family dynamics, love, sacrifice, sibling relationships, secrets, second chances, and even a few ethical dilemmas. There is also a great book club kit here. I adored ME BEFORE YOU and I highly recommend it to fans of women's fiction! I received a copy of ME BEFORE YOU at the 2012 BEA. I really think there's a difference between a love story and a romance and I enjoy love stories more than romances. I'll have to give this one a try. Well, hum. I wasn't interested in this one because I thought it'd be too romance-y for me. I might take a look. Wow - I hadn't heard of this book, but the review really has me interested in it. Thanks for the in-depth reviews you do. You've turned me onto a lot of great books! This was one of my favourite books of 2012! It made me laugh and cry and I closed the book with a huge sigh. I have to say though, I think this cover does the book a huge disservice. I am not sure the one that we had is right either though!